Which of these two words describes you best? Are you inclined toward “yes” or “no”? What is your default setting? What is your first response to life’s stimuli? 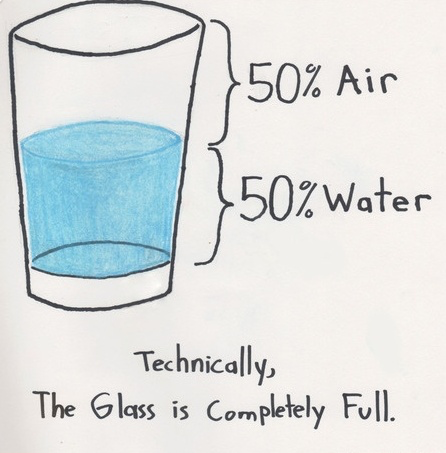 Asked another way, are you an optimist or a pessimist? Before you answer that last question, know that Dr. Seligman’s research indicates that 3/4 of Americans have a proclivity toward pessimism, so three out of four readers of this essay are in the “no” camp. Are you? Most of us have a hard time being honest with ourselves, so you might want to take a random survey among your friends and family. Long term, people won’t enjoy being around you. Your view of life will be sullied. Your mental and physical health will suffer. People will be attracted to you. Life will be more enjoyable. You’ll enjoy better mental and physical health; optimists get sick less often and live longer. Some people accuse optimists of being naive; after all, bad things do happen. Yes, we need to be realistic about the past and the present, but let’s be hopeful and optimistic about the future, and let’s not dwell on the negative. It seems to me that number 4 is the preferred position. When I think of an optimistic leader, former President Ronald Reagan comes to mind. The following poem describes a young optimist; when this lad enters the workforce, I’d hire him. “Say, what’s the score?” I asked. He answered, “No, sir, not as yet! What? – Some people are optimist, some are pessimist. So what? – It’s better to be an optimist. Now what? – Honestly and accurately assess yourself: Which orientation do you favor? 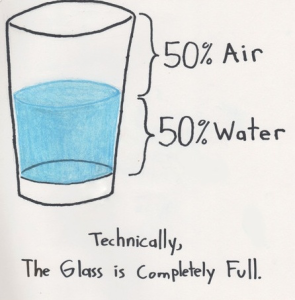 Fortunately, being optimistic is a choice. Leaders – Be a realistic optimist; realism and optimism are not mutually exclusive. The leader’s first job is to define reality; this requires being a realist—identifying and declaring both the good and the bad. But even if reality stinks (sales are down, your stock price has dropped, and three members of your management team just resigned to work for your competitor), a good leader will adopt an optimistic attitude toward solving the problems. Be a realist about the past and present; be an optimist about the future.